After 25+ years in the PR biz, I consider myself a trade show veteran. Between the International Builders Show, Kitchen & Bath Industry Show, National Hardware Show, NeoCon, DeckExpo SURFACES, and countless International Home Furnishings Markets, I’ve walked enough shows to max out any step tracker. 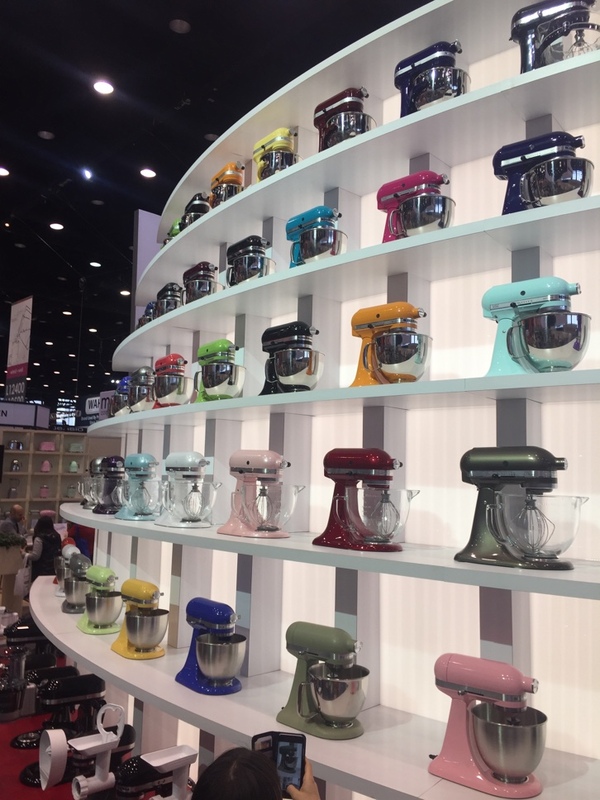 Just this week, I attended my umpteenth International Home + Housewares Show in Chicago – but this time, I had the pleasure of seeing it through different eyes. Instead of my usual role as client representative, this time I led a group of younger LCWA staff members on their first-ever trade show excursion. How fun and refreshing it was to experience the vastness and energy of the show from their perspective and, of course, to regale them with a few of my tales from the trade show trenches. As we walked from hall to hall, sampling our way through the Dine + Décor Expo, discovering new ways to connected in the Wired + Well Expo, and marveling at the multitude of multi-faceted and multi-functional solutions in the Clean + Contain Expo, we noted several themes repeating across categories and products. Based on our educated – if not scientific –observations, following are a few of the trends we expect to see popping up soon at retail and in homes across the country. Bamboo – There was so much bamboo on display at McCormick Center, we half expected to see Po from “Kung Fu Panda” greeting attendees in any number of exhibits. Hard wearing and easy to maintain, bamboo has become increasingly popular as a material for household items – especially those that require daily use. We saw placemats, coasters, baskets, bowls, storage containers, drawer organizers, chopping boards and spoons – all designed to deliver green living with style. Single-use Gadgets – “Find a need and fill it” was a mantra we saw being carried out in many booths. This year’s show was a virtual “Shark Tank” paradise, with an endless number of devices designed to do one thing really well - from mango slicers and ginger peelers to strawberry corers to corn strippers. Tea Time – While at-home coffee brewers commanded their share of floor space, devices designed especially for making – and drinking – tea stole the spotlight. Apparently, the days of heating up a mug of water in the microwave and dunking a tea bag are gone. Exhibitors showed a wide range of heating mechanisms and tea steepers that allow consumers to heat water to the perfect temperature for every type of tea imaginable. Color – Color proliferated everything from Kitchen-Aid appliances (shown in 86 different hues) to mixing bowls, pot handles, measuring cups - even air purifiers. The Sencor exhibit looked like an Easter display with tea kettles and toasters in retro-inspired pastels ranging from pistachio and pumpkin to cornflower and buttercup. As predicted by Pantone, green was definitely the Color of the Year. We also saw a lot of yellows and pinks, but in more sophisticated tones such as ballet slipper vs. bubblegum. Smart & Connected – And no trend list would be complete without a nod to the continued influx of “smart” products, which have infiltrated the housewares industry in a huge way. Among this year’s innovations were the Gourmia smart oven, which features a camera that allows you to watch what you’re cooking from your phone or other connected device. GeniCan showcased a device that can automatically order products that are tossed into a garbage or recycling bin. The device scans the bar code of the disposed product and sends the order directly to Amazon Dash. But our hands-down favorite was the SproutsIO, a smart, soil-free microgarden with sensors and a camera – both controlled by an app – that enables users to monitor how the plants are growing. All in all, our outing to the 2017 Home + Housewares Show proved to be enlightening, energizing and essential – especially for an agency that specializes in promoting home products. What a joy and privilege it is to work in such a dynamic industry!